Get ready for the adventure of a lifetime. Every clichéd rumour you’ve heard about living in luxury, on even a retiree’s budget, is true in Ecuador. Tucked away in the north-western corner of South America, Ecuador is bordered by Colombia to the north, Peru to the south and east, and the Pacific Ocean to the west. At just 455,338 square kilometres, Ecuador’s small size holds an incredible diversity. Forming Ecuador’s spine is the Andes Mountains, and from the top of Mount Chimborazo—at 6,310 metres—in the west, the mountains descend to balmy Pacific Ocean beaches. And in the east, dense, lush, tropical rainforests. In this little country, you’ll find more climates, cultures and natural wonders than almost any place on earth. What do you think of when you imagine your dream location? An unspoiled beach, a bustling city, a vibrant university town, a quiet mountain village? Ecuador has them all. Here you can choose the place that’s right for you and start enjoying a better quality of life right now. 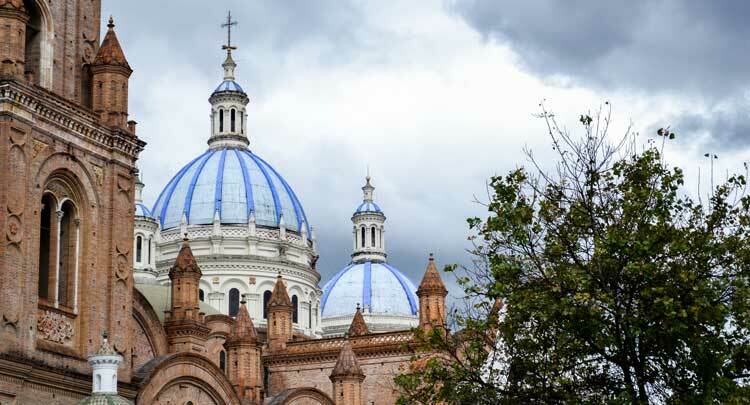 Ecuador has an exceptional quality of life and an affordable cost of living. No wonder expats living in Ecuador say they feel better than back home. There are fresh fruits and vegetables, clean air and water, and a year-round temperate climate—everything you need to stay feeling fit and healthy. Healthcare in metropolitan areas is excellent and costs only a fraction of what you would pay in Australia. And now all residents of Ecuador are eligible to join the country’s social security healthcare system, with premiums of about $100 a month for a couple. Residents aged 65 and over are offered special benefits. Public transportation is half price, airfare (even internationally) is discounted, and seniors receive a monthly refund of sales tax paid. Plus, seniors get to go to the front of the line at the bank and grocery store! Yes, that’s right—Ecuadorians have a tradition of respecting and caring for their elders. Whether you want to live, invest, holiday, retire or simply relax in Ecuador, you’ll find the perfect combination of climate, culture and affordability to make your dreams a reality. The retirement life you’ve dreamed of is here waiting for you. A patchwork quilt of blue-green grass stretches before you, complemented here and there with splashes of fuchsia, lavender, coral, bright yellow... The unmistakable aroma of eucalyptus hitches a ride on a fresh breeze, accented by wood smoke that you can just spy wisping its way out of a red-brick chimney poking from an adobe-walled house, barely visible on the mountainside far across the way. Who doesn’t love spending some time in France? The enticing smell of a patisserie…freshly baked baguette and pain au chocolat…who could resist? Not myself and my husband Duncan, obviously.